Average prices were up, $405,320 in the residential class, an increase of 6.5% over 2015. While these statistics are useful in establishing market trends they should not be used as an indicator that specific properties have increased or decreased in value. If you’re interested in a property evaluation or statistics for specific neighbourhoods please email info@teamrealty.ca or contact one of our offices, or professional real estate representatives, we would be delighted to assist. 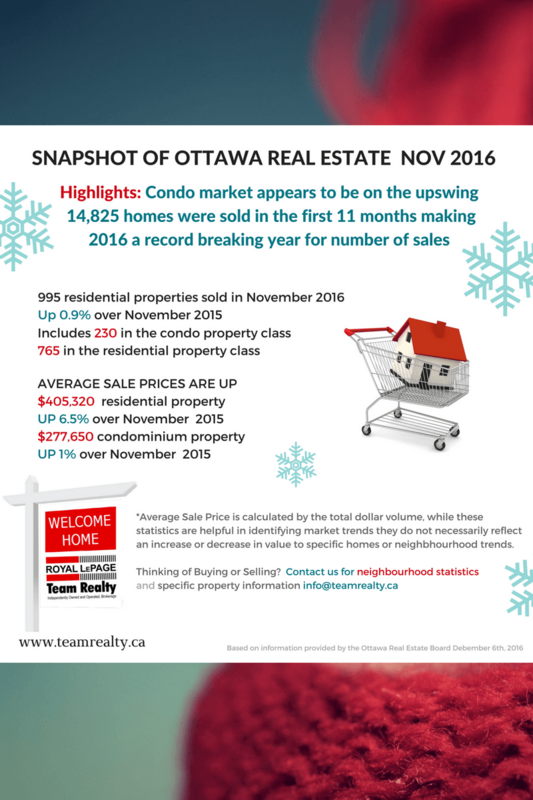 The post Real Estate Update: Latest news in Ottawa Real Estate appeared first on Team Realty.